Calling all young adult members! Did you know that every 18-25 year old member of The Scout Association is automatically a member of the Scout Network? Did you know that as a young person under the age of 25 you could still complete your Duke of Edinburgh’s Award and Explorer Belt? Did you know that Network can offer you opportunities to participate in Scouting activities as a young person, under the three programme areas of Community, International and Adventure, earning digital badges to show your accomplishments? 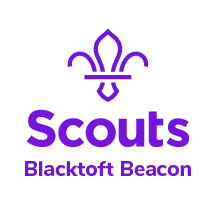 All of this and more can be available to you as a member of the Scout Network; and Blacktoft Beacon district are relaunching the programme for your benefit! We would like to invite you to take part in our survey which will shape the course of Network in our District to suit you, our members. We would also like to invite you to the first meeting of the relaunch, to take place at Raywell Park at 19.00-22.00 on Monday 28th January 2019, where we will discuss what Network is, how Network will be arranged, what activities and opportunities you would like to see through Network, and more. Linda has even offered to provide us with pizza! So, please, come join us, have your say and make sure you have the opportunity to benefit from your membership of the Scout Network! Humberside County members not from the Blacktoft Beacon District are welcome to attend. If you are able to attend part but not all of the meeting you are still most welcome. If you are interested but unable to attend please still get in touch with your ideas, and we can update you after the meeting.